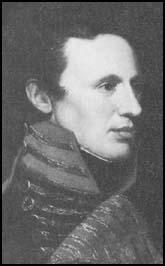 Zebulon Pike, the son of an army officer, was born in Lamington, New Jersey, on 5th January, 1779. He joined the army and served under Anthony Wayne. 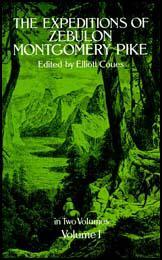 On 9th August, 1805, Lieutenant Pike left St. Louis with a group of twenty men in order to discover the headwaters of the Mississippi. The following month he negotiated with the Sioux in order to gain permission to build a stockade near the mouth of the Swan River. Pike reached Cass Lake in February, 1806. Deciding it was the source of the Mississippi he returned home reaching St. Louis on 30th April, 1806. Later that year General James Wilkinson ordered Lieutenant Pike to determine the extent of the Louisiana Territory in the south west. He left St. Louis on 15th July, 1806. Travelling along the Arkansas River with a party of 15 men he followed the route of what was later to become known as the Santa Fe Trail. He also attempted to climb the mountain that was later named Pikes Peak. He also discovered the Royal Gorge (4th December) and the upper waters of the South Platte (13th December). In January, 1807, Pike reached the upper Rio Grande. The following month he was captured by a 100-man Spanish force. He was held in captivity until being forced to leave Spanish territory in April, 1807. As a result of his expedition Pike was promoted to the rank of lieutenant colonel. A book about his travels, An Account of Expedition to the Sources of the Mississippi was published in 1810. Brigadier General Pike led his forces to victory at York, Ontario, but was killed on 27th March, 1813, after a British power magazine exploded, causing a rock to strike him in the back. Zebulon Pike was buried at Sackett's Harbour.